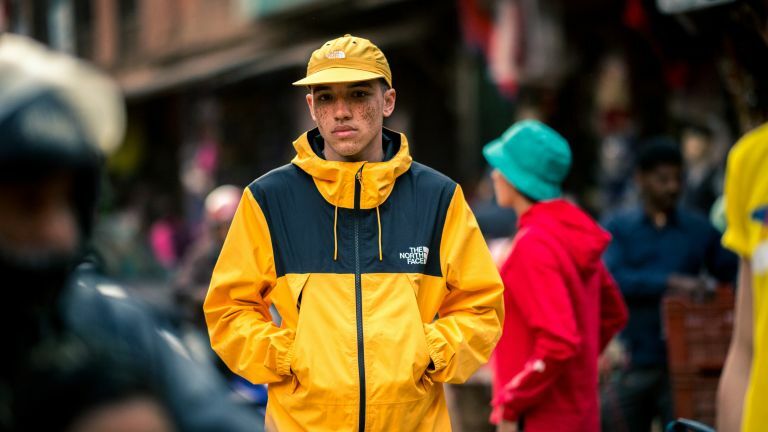 The North Face has just released its summer collection, called the 'Khumbu Pack'. It includes a number of bright pieces ready for everyone's favourite season, including baseball caps, t-shirts, shorts, and slides. The collection is takes it name from the Khumbu valley in Nepal, as it was inspired by the bright beautiful colours of the prayer flags commonly found in the Himalayan region. The new collection embodies TNF's mantra for its lifestyle ranges, "inspired by the mountains, made for the city". The Khumbu Pack features iconic items such as the Base Camp Duffel, 1990 Mountain Q jacket and short-sleeved Fine Tee, as well as relative new-comers, such as the Base Camp sliders and Raglan Red Box hoodie. All of the pieces are available in a variety of bright and vivid colours which are taken from Himalayan prayer flags – blue, white, red, green and yellow. These flags are hung along mountain ridges and peaks in the Himalayas, and are said to bless the landscape around them, and carry prayers on the wind, while the bright colours represent fire, water and earth. The collection is available in both men’s and women’s styles from The North Face's website and selected TNF stores. Which umbrella will keep you dry, look stylish and withstand the test of time? BoohooMAN is offering 25% off EVERYTHING, and it isn't even Black Friday yet!